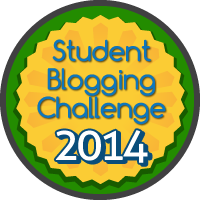 This entry was posted in Techie Kids and tagged Blog Buddies, Websites, Y5's-5th Grade by Mrs. Moore. Bookmark the permalink. Hello Techiekids. Thanks for all the great comments. We will be checking your site out later this week. Mrs. Moore, do you know how to use voicethread and if you do could you teach me sometime? Great to meet you! Thanks for mentioning us in your post, it’s great to check out blogs from all over the world! 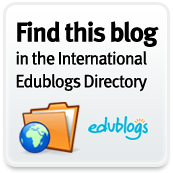 We have added you to our list of blogs we like! Let us tell you a little about us…we are 2KJ from Leopold Primary School in Victoria, Australia. We are in grade 2 and there are 22 of us, plus our teacher Miss Jordan. There are about 680 students at our school. We started our blog at the beginning of our school year in February. We have had over 1,000 visits which we are pretty excited about! In Term 1 we learnt all about “Food”. We learnt about the five food groups (fruit, vegetables, grains and cereals, meat and dairy), all about different fruits and vegies, what nutrients are in different foods and where different foods come from. This term we are learning about “Aboriginal Australia”. Aboriginals were the first people to live in Australia thousands of years ago. We would love to get to know more about you and your school so here’s some questions. 1. What is your school called? 2. How many students are in your school? 3. Do you learn about a different topic each term? 4. Are there any special features of your school? I found 2 more VoiceThread resources that you might find helpful.